A female vicar arrives on a small island to take up a new post. It is a strange opportunity: the parish is brand new, and set up by the community itself, who have built themselves a church modelled on St Peter's Basilica. The vicar is surprised and delighted by the enthusiastic welcome she receives. The church is full day after day, and the parishioners compete for her attention. Not many are interested in discussing spiritual matters however, and as she gets to know them, the vicar becomes aware of a split in the community; a terrible secret that is not spoken of, but which plagues the island, pitting neighbour against neighbour. She hears whispers of a missing young girl whose parents died in a mysterious blaze, of secret abortions, and of a fearsome ghost. What the villagers most want is absolution, but can the Vicar Woman provide it for them? 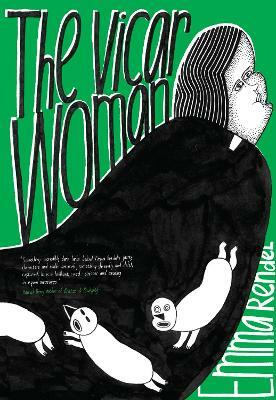 "Vicar Woman" is a strange and discomforting story, and a brilliant new work from one of the most original artists on the Cape graphic novel list. Emma Rendel was born in 1976 in Uppsala, Sweden. She studied illustration and graphic design at Central St Martin's and Communication Arts and Design at the Royal College of Art. She contributes to Galago, Hjelp and Le Gun, and her illustrations have been published in Icon magazine and Time Out. 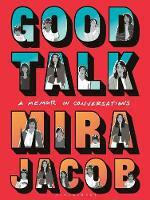 Her first book, Pentti and Deathgirl, was published by Jonathan Cape in 2009.